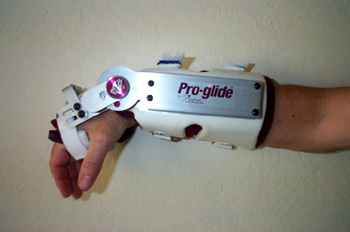 Addresses joint stiffness in the wrist. The tensioned hinge joint is designed to increase and maintain range of motion by using a low load, prolonged stretch modality. Offering both flexion and extension in one unit, universal sizing and replaceable softgoods. Joint stiffness of the wrist.